Forget those silly games with their rules telling you what to do. Röland R. Mölder knows what you really want, way better than you do. 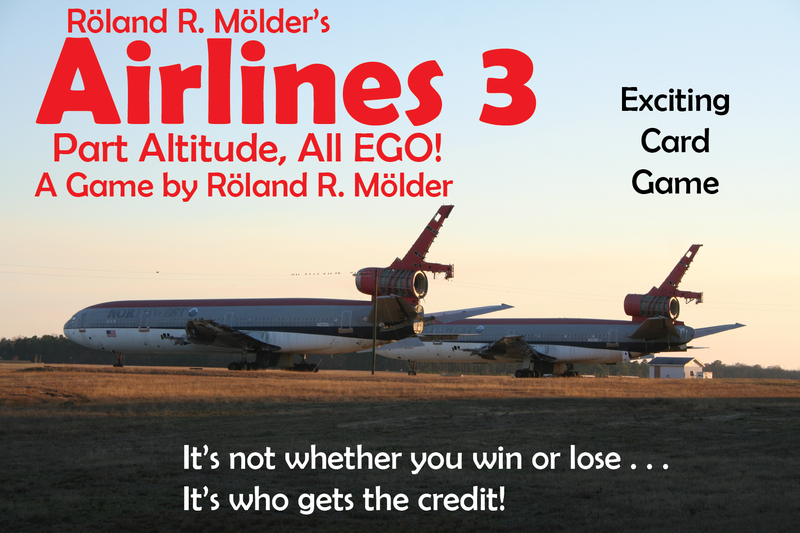 In Röland R. Mölder’s Airlines3, A Game by Röland R. Mölder, each player represents a partner in a struggling airline. The airline’s going to collapse – that’s a given. Your job is to make sure you get lots and lots of credit, and make someone else take the blame when the company inevitably crashes. You gain points for putting your name on stuff and for getting your ideas enacted no matter how stupid they may be. The stupider the idea, the more Ego Points you get for whining and tantruming it into existence! Everyone loses, but the player with the most Ego Points at the end of play wins. 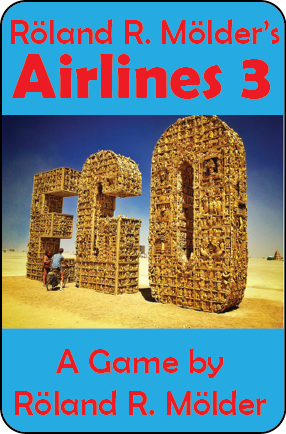 Click here to order this great game by Röland R. Mölder!